Classes are on so far! This year Santa brought me a Fitbit and I can’t tell you how exciting it has been for me, and I have learned so much in the couple of days that it has been up and running. What is a Fitbit you say?? A Fitbit is an awesome, tiny little wireless device that tracks your activity during the day and keeps track of your sleeping patterns (which I think is SO cool!). You clip it to your pants and go about your normal days activities. Or if you are like me, you push the little button on it every 20 minutes to see how many calories you have burned while matching socks 😉 There is Fitbit website that allows you to sync up your device and create a personal profile so you are able to log in and track your steps taken, flights of stairs climbed, calories burned, etc, over time. The neatest thing for me is to physically see your sleep pattern on a graph. I realized after a couple of nights with the Fitbit, that I wake up anywhere from 6-9 times a night! I had no idea! The good thing for me though, my sleep efficiency rating is 96%, so apparently there are others out there who wake up way more than I do. Phew! Along with the awesomeness of my new “friend”, comes its “partner” website LoseIt! Lose It is a site that directly links up with your Fitbit (though you can use Lose It without one, which is what my husband does), and tracks your calories for the day. Some of you may have heard the key to weight loss is a simple “calories in, calories out” equation. This is where the Fitbit and LoseIt come in handy. I will put the links to both sites at the bottom of this post. I encourage you to take a look at them, especially LoseIt. It is a great tool that is easy to use. It really shows you at the end of the day what you ate. Which sounds silly, but trust me, when you see your calories laid out in a graph at the end of the day, you will be surprised at where the majority of your calories come from. I know I was! So, although I wanted to brag just a little bit about my awesome Christmas present, my main point of this blog post is just to let you know of different tools out there that don’t cost a lot of money. 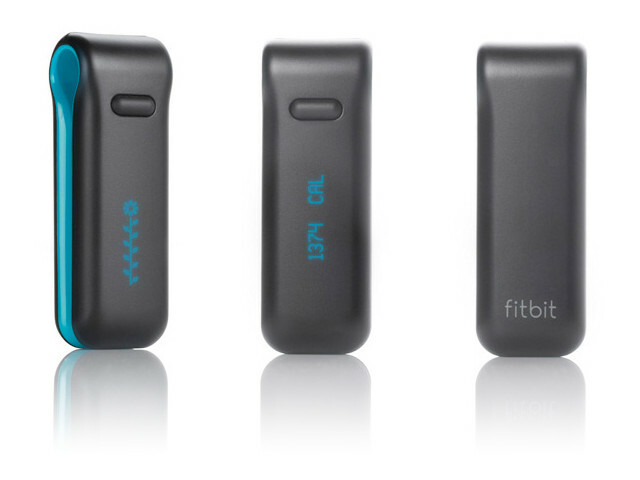 The Fitbit costs less than $100 and the software is free for your computer, and there is no membership fee (which is not true of the BodyBugg. BodyBugg is a similar device that requires a paid subscription and, in my opinion, is not nearly as awesome). LoseIt is also a free site for anyone who wants to use it and with recent updates, has become a lot easier to use. If you have a Smartphone, LoseIt has a free app that makes tracking your foods easier while you are away from you computer. This is awesome!!! Why don’t I have one? Definitely picking one up. New Bootcamp Session Starts Soon!